The dot-com equivalent of the current year is 2004. 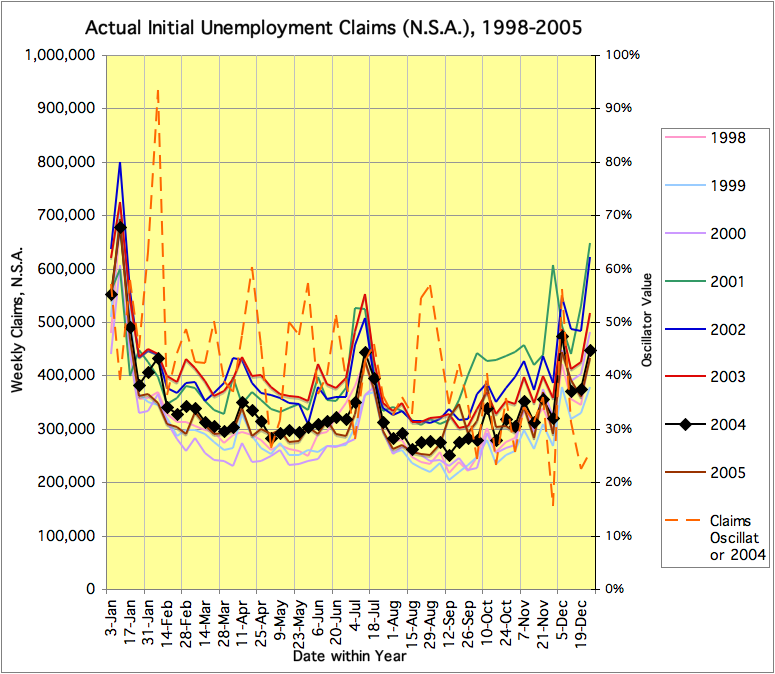 Claims rose in 2001-2 and were max for most of the first half of 2003, just as they rose in 2007-8 and were max in 2009. The claims during the dot-com bust were far lower than the current bust. 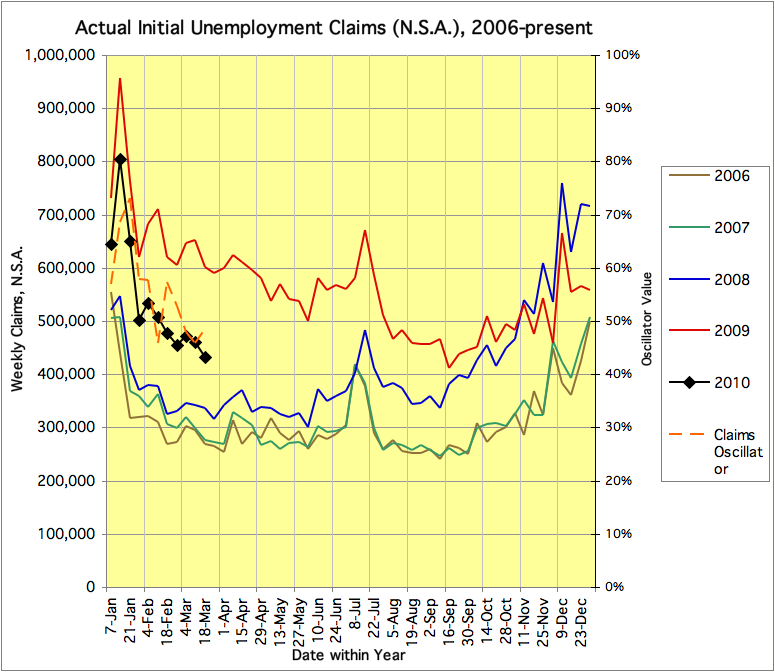 In fact, for this time of year, the current 2010 claims (well over 400,000) are noticeably worse than any part of the 2001-2003 employment bust (clearly under 400,000). The same “partial recovery” pattern was seen in both 2004 and 2010: Claims in 2010 have not yet normalized, and are typically about midway between the preceding “boom” and “bust” levels – corresponding to a “Claims Oscillator” of 50% – about the same as in 2004. Today’s claims data showed continued failure of the labor market to “normalize”. This entry was posted on Thursday, March 18th, 2010 at 21:33 and is filed under UE Claims. You can follow any responses to this entry through the RSS 2.0 feed. Both comments and pings are currently closed.